My boys are now at an age where they are curious (and conscious) of the time. Whether it's bed time, lunch time or '5 minutes left on the iPad time' they are continuously processing the idea of 'time' and how it affects their daily life. 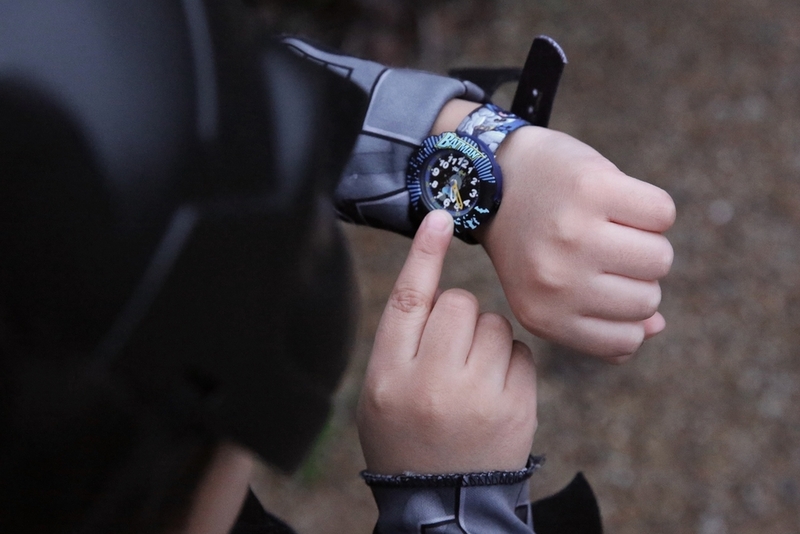 The next logical step was to purchase the boys their very own timepiece. I did a little research and discovered the Flik Flak brand, a company of the Swatch Group and world's best selling children's watch. 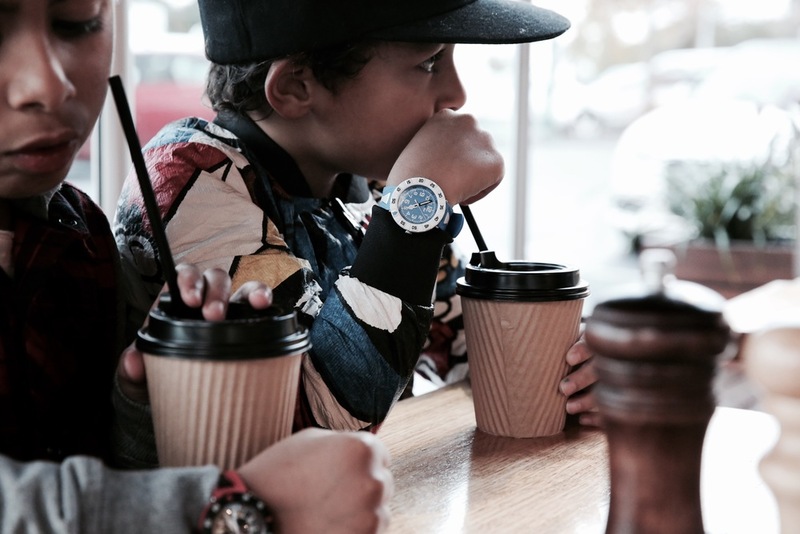 What first attracted me to Flik Flak watches was their durability - let's face it, my boys need a watch which can keep up with them! Flik Flak carry out a vigorous month of intensive testing on each watch - they even simulate tests for sweat, swimming pool water, UV, tension, compression and flammability. Not only do their watches pass with flying colours, but they also carry a 2 year global warranty! Basically your little one can go on wild adventures, take a tumble (or three) and place their time piece the washing machine without causing a problem. In fact, it's encouraged you throw (or place) your flik flak watch in the washing machine for a "spruce up." 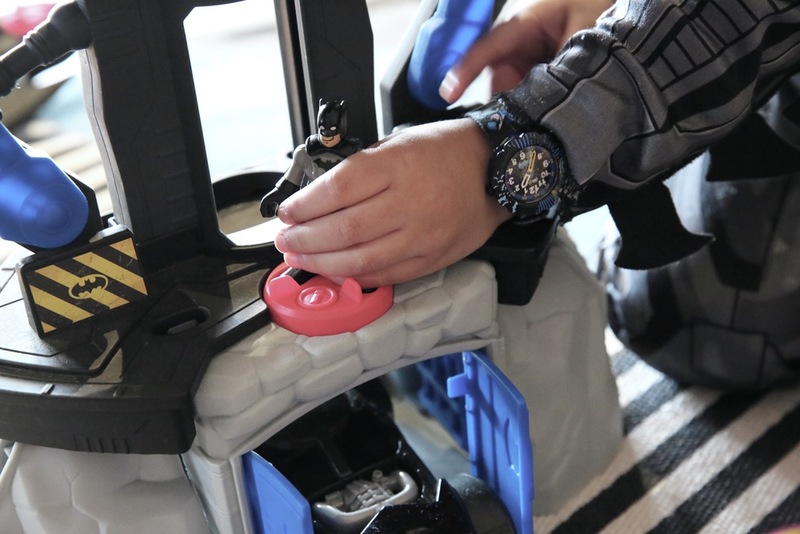 Three-year-old Batman obsessed Tomasi selected the Batman Flik Flak watch from the Friends & Hero's range as his 'very first watch.' He seems to use it more as a weapon detonator and walkie-talkie spy watch, but I'm sure we'll progress to telling the time! 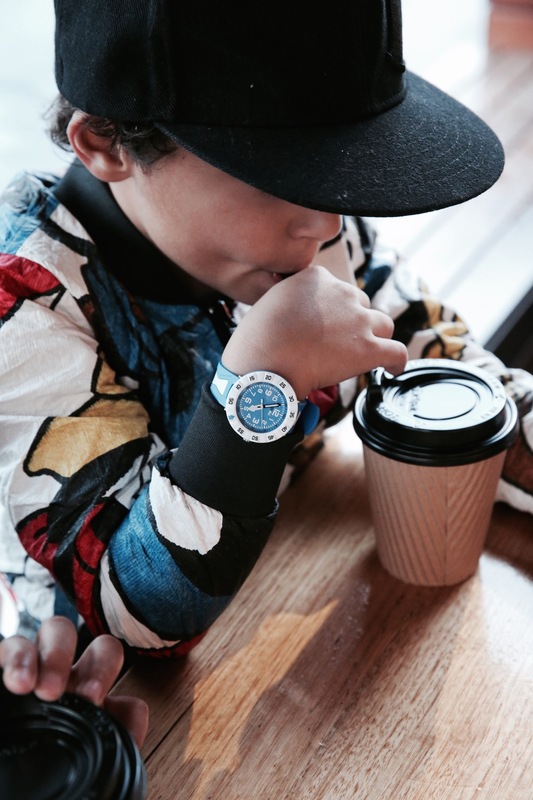 Tevita and Maikeli (7 and 6 years respectively), selected Power Time watches in their favourite colour combinations. Both can now read the time using the turning bezel to calculate how many minutes are past the hour.